I first heard of Romesh Jayasinghe from his father, the late W T Jayasinghe, the Secretary of the Ministry of Defence and Foreign Affairs, as it then existed, under whom I had the privilege of first serving in that establishment. This may have been the late 1970s. Romesh was on the threshold of embarking on his undergraduate studies. ‘WT’ as he was popularly known, was anxious like all fathers, that son Romesh should carefully choose the path that had the best potential for Romesh’s future professional career. WT entertained the idea that the pursuit of the study of the law should seriously engage Romesh’s attention. WT often engaged me in weighing the ‘pros’ and ‘cons’ and the potential of a legal career for Romesh. I had then just reverted from the unofficial bar for a career in the Legal Department of the Ministry of Foreign Affairs. These were less troubled times when one’s superiors had the time engage in a relaxed conversation with junior officers, at the end of a long working day. It would not be out of place to mention here that though a ‘non-diplomat’ and a ‘non-lawyer’, nevertheless and experienced Civil Servant heading the Foreign Affairs establishment under the illustrious Prime Minister, the late Sirimavo Bandaranaike, WT had the remarkable gift and foresight of appreciating the inextricable linkage between International Law and diplomacy. He appreciated that to a developing country engaged in the conduct of international relations, be it at the bilateral or multi-lateral levels, it was the legitimacy of its national position at the bar of International Law and opinion, which was the greatest asset. Accordingly, WT closely consulted and engaged the Foreign Ministry Legal Advisors of the day, M C W Pinto, Lal Kurukulasuriya and later myself, on a range of vital issues, impinging on Sri Lanka’s relations with foreign states. These included, at the bilateral level, complex negotiations with India on the implementation of the Sirima-Shastri Pact concerning persons of Indian origin, the Kathchativu Issue and the Maritime Boundary Agreements of 1974 and 1976 and at the multi-lateral level, a range of vital issues affecting our national interests, which arose in the context of the Third United Nations Conference on the Law of the Sea, then underway under the stewardship of late Shirely Amerasinghe. The mid ’70s was indeed the ‘shining moment’ – the Camelot as it were in the conduct of Sri Lanka’s foreign relations. Nevertheless, from the time he was a young Foreign Service officer, thereafter, going on to become an Ambassador or High Commissioner and finally Secretary to the Ministry of Foreign Affairs, Romesh always demonstrated a remarkable appreciation of the overlapping contours of International Law and the conduct of international relations. It was this appreciation on his part that brought Romesh and me together in several common endeavours at the bilateral, regional and international levels. South Asia and the South Asian Association for Regional Co-operation (SAARC) became the initial training ground and the natural terrain of Romesh Jayasinghe. It was on this terrain, with all the challenges it posed, that Romesh and I joined in many an initiative which called for striking that delicate balance between International Law and diplomacy. We joined hands and worked together on a variety of issues that would ultimately have an impact on the vital interests of the state, as well as on the region as a whole. These issues required not only as in depth examination of their legal dimensions, but perhaps more importantly, a careful assessment of the foreign relations imperatives – in the latter Romesh’s quiet, unobtrusive and yet effective diplomacy, including the excellent personal relations he had cultivated with his counterparts, was a considerable asset, in overcoming hurdles, which at first sight seemed insurmountable. 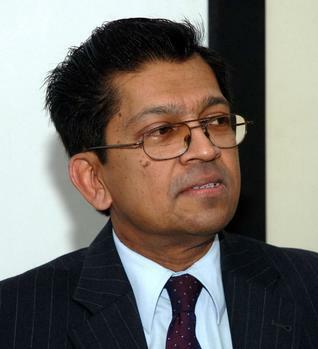 The careful steering of a Regional Convention on Suppression of Terrorism within the SAARC whose founders had chosen the ‘safe path’ of excluding contentious political issues, from its purview, for the fear of a possible break up of a fledgling organization, was one such initiative in which Romesh was a great source of strength, both during negotiations and during subsequent efforts to ensure its implementation. At the bilateral level, Romesh’s contribution to the process that led to the first ever Free Trade Agreement (FTA) to be concluded in the South Asian region, the Indo-Sri Lankan Free Trade Agreement cannot be forgotten. This was a difficult process. While the seeds of economic liberalisation were being sown, the asymmetry factor of the unequal economies of the two parties, was casting a long shadow and, hence, the apprehensions and concerns that seemed to be intractable and clouded the negotiations. The negotiations were tough and demanding. Yet, the trade experts who were in the forefront were able to surmount many a hurdle, given the political will that prevailed, and ultimately, steer the negotiations to a successful conclusion. In this process, Romesh was at hand, in one capacity or another, to give the process that ‘diplomatic push’ as it were. His was a reassuring presence undoubtedly contributed in no small measure to the emergence of a successful and a balanced outcome at the end of a demanding process, which called for a judicious mix of trade expertise, law and diplomacy. Romesh’s contribution to the GSP+ (Generalized System of Preferences) process with the European Union, while serving as Ambassador in Brussels, again away from the limelight sans fanfare and trumpets, yet effectively steering the discussions to an outcome which was of immense benefit to the economy of Sri Lanka, and the textile industry in particular, will also stand testimony to Romesh’s invaluable contribution to vital issues affecting the national economy. Romesh was our Ambassador to the European Union (EU) at a time when the Union and the Commission were expanding their powers and exerting greater competence and jurisdiction in areas which traditionally fell within the ‘sovereign domain’ of member states. The changes that were taking place, posed many political and legal challenges. In the demanding task of developing Sri Lanka’s relations with the European Union, amidst this evolving scenario, Romesh and I worked in close consultation. I am privy to his exceptional diplomatic skills and personal relations he had cultivated with the European Union and the Commission hierarchy in Brussels, which greatly facilitated our dealings with Europe, however difficult the issues may have been. They ranged from a Common Air Services Agreement with the EU to an Agreement on Re-Admission of Irregular Migrants, some of them in fact were forerunners to similar Agreements that the EU would conclude with non-member states later. Cynicism apart, the statement also contains within it, the seeds of political realism. Global events in the post World War scenario is replete with instances involving the use of force, wherein states having recourse to force seek legitimacy for their actions by invoking a Principle of International Law, be it the Principle of Self Defence, the traditional Customary International Law Principle recognised in the United Nations Charter or other applicable principle – even the somewhat questionable principle of ‘pre-emptive self-defence’ in situations where there is no imminent threat of an armed attack. The underlying lesson to be drawn from the behaviour of states in such situations, is that no state, however powerful, wishes to be identified as an aggressor or a persistent violator of International Law and norms of international conduct – rather, states seek legitimacy for their actions by invoking a Principle of International Law. From the Anglo-French invasion of the Suez, in the 1950s, the Argentinean invasion of the Falklands in the 1980s to more recent episodes, the acts impugned were never sought to be defended by claiming a right of private judgment, based on might, but always on the basis that the impugned act was justified in law or that no Rule of International Law was violated. International Law was traditionally defined as a body of law to regulate inter-state conduct. This traditional definition found in the older classical writings, cannot stand as a comprehensive description of this body of principles, in the light of developments in the last few decades. An essential condition for the continuing relevance of International Law is that it must keep pace with evolving conditions of international life, which impact upon the conduct of international relations in contemporary times. The global scenario which emerged towards the end of the 20th century, was a universal order based on the inter-dependence and co-operation amongst states. The emergence of new actors, apart from states, in particular the increased recognition of the individual and International Organisations as entities of legitimate concern of International Law, has thrown up new challenges that international lawyers and professionals engaged in the conduct of diplomacy are called upon to deal with. Commenting on the impact of globalization on International Law, it has been stated. Amidst these profound changes, Contemporary International Law is required to focus not only on the regulation of inter-state relations, its long recognize primary function, but also on the relations between the state and the individual, traditionally regarded as a matter falling exclusively within the national domain. The adoption of the landmark Universal Declaration of Human Rights (UDHR) (1948) followed by the binding legal instruments, the International Covenant on Civil and Political Rights (ICCPR) (1966) and the International Convenant of Economic, Social and Cultural Rights (ICESCR) (1966), together with key resolutions of the United Nations General Assembly, providing for varied mechanisms and procedures to safeguard human rights, collectively resulted in the protection of human rights, the treatment of a state’s own nationals within its borders becoming a matter of legitimate international concern. The antecedents of these initiatives lay in a clear recognition that the rights of the individual must be strengthened vis-a-vis their own governments, based on the voluntary acceptance by States, of obligations under international human rights instruments and to that extent, conceding certain attributes which would have formed an integral component of the classical notion of sovereignty. Thus, the protection of human rights fell within the legitimate domain of International Law and led to consequences at the international level where a state is perceived to be falling short of meeting ‘minimum international standards’ prescribed by these legal instruments. The effective conduct of contemporary diplomacy requires a sensitivity to and a realistic appraisal of these fundamental changes that have occurred and are occurring in the global scene – how classical concepts long considered well established, have come under increasing stress and are undergoing radical change. What is required in this evolving political and legal environment is a nuanced approach to such changes in defining one’s national position, rather than an unrealistic assertion of classical concepts, disregarding the fundamental changes that have occurred and continue to occur. Similarly, with international organizations, both inter-governmental and non-governmental, playing a dynamic role in international life, the relations between States and international organizations, as well as between international organizations have been identified as issues requiring greater legal clarity and regulation, in the contemporary global order. Concerns with regard to the conduct of international organizations and their international responsibility for wrongful conduct, have been heightened in recent times. The adoption of controversial resolutions within the Security Council, authorizing sanctions and paving the way for military action including for regime change, in different global situations, have brought to the forefront, difficult issues in the relationship between states and international organizations. These concerns have led to the International Law Commission (ILC), the principal norm creating body of the United Nations, to formulate Draft Articles on the Responsibility of International Organizations, to follow up on its work on state responsibility. The role and responsibility of non-governmental organizations (NGOs) and the need for codes of conduct for these organizations is assuming equal importance with the increased role being performed by such entities, particularly in fields such as environmental protection, protection of human rights and the providing of disaster relief. The challenge is to ensure that humanitarian objectives are not diverted by extraneous considerations or agendas, while recognizing the useful role these entities could perform in difficult situations, such as in providing disaster relief, and accordingly, preserving their operational flexibility, to facilitate bona fide humanitarian activities. Thus, in order to keep pace with these evolving conditions of international life, international law is called upon to deal with complex and varied relationships that have emerged at different layers in the contemporary global order; at the inner-state level; at the level of the state and the individual; and at the level of state and international organizations, as well as between such organizations. In this contemporary multi-layered framework, the primary task of the international lawyer and the diplomat is one of seeking and achieving a careful balance of contending interests and principles in an attempt to preserve and safeguard the essential interest of the state, on the one hand, while ensuring that the rights of the individual are not sacrificed. In the contemporary global order, International Law is not merely an academic discipline. It has far reaching political implications for the international community of states in the real world of international politics. It would not be incorrect to surmise that International Law making is essentially a ‘political activity’. While an international lawyer plays a vital role in that process, the role of the diplomat, also assumes a crucial position, given the underlying political considerations which are interwoven into that process. For the success of a global initiative, whether to create a new regime to replace the old order, or in the evolving of new rules of international trade, the efforts of the international lawyer need to be backed up by effective diplomatic and political initiative, leadership and skills, in order to reach the desired goals. The multi-lateral law making process in particular, requires skilful negotiations directed towards reaching mutual accommodation, whilst safeguarding fundamental national positions. It would be an unrealistic expectation that the final outcome of a process should reflect the maximalist position that a state would have assumed at the beginning of the process, yet the outcome could be one which addresses the basic concerns and interests of a given state, while accommodating the interests of others. Such an outcome would not be beyond realisation, if there is recourse to skilful diplomacy with a mix of political realism. With regard to the challenges inherent in the multi-lateral law-making process, it has been pertinently observed that. “Deliberation is an essential lubricant of any law-making process, because it facilitates discussion, negotiation, compromise, persuasion, influence, and participation. It is what allows participants a voice, whether or not they have a vote”. This statement encapsulates the challenge confronting contemporary multi-lateral diplomacy. It underlines the need to recognise that the milieu of multilateral negotiations require an acknowledgement of the existence of a multitude of concerns and interests and the success of diplomacy will depend on finding that middle ground, that fine balance, which would ensure that one’s fundamental interests are secured, whilst those of other participants in the multilateral process are also taken into account and accommodated and are not shut out. What is required is a calibrated and nuanced approach, without sacrificing one set of interests for another. In dealing with challenges of the present and of the future, it would not be out of place to take a brief look back and draw some lessons from the past. The 1960s and the 1970s which ushered in an expanded international community of states consequent to the decolonisation process, is sometimes described as the ‘golden age of multi-lateral diplomacy’, where the developing world gave effective political and diplomatic leadership in setting out a new ‘law making agenda’ and made a decisive contribution to vital political and economic issues of the day. The agenda was wide and varied and included issues such as Permanent Sovereignty over Natural Resources, adoption of a New International Economic Order (NIEO) and a New Legal Order for the Ocean to harness ocean resources for the common benefit of all mankind. It has been observed that the negotiating process at the Third United Nations Conference on the Law of the Sea best illustrates fact that power and influence are not synonymous in the real world of multi-lateral diplomacy and underlines the fact that the United Nations system has empowered the so-called ‘weaker states’ in a way that would not have been possible previously. To give an important example, the Law of the Sea negotiating process which recognised the ‘consensus principle’ as the cornerstone of negotiations, in that no issue would be put to a vote, unless and until all efforts at reaching a consensus had been exhausted (the then innovative ‘gentlemen’s agreement’), enabled the developing world to maximize economic advantages whilst recognising the strategic and military interests of the major users of the oceans, the ‘Major Maritime Powers’. Thus a new concept of an Exclusive Economic Zone (EEZ) giving coastal states resource jurisdiction over an area of 200 nautical miles from the coast emerged, the quid pro quo being the recognition of the freedom of navigation of all states in these waters. This was a compromise par excellence, accepting sovereign rights over resources, in return for the unhindered rights of navigation which addressed the security concerns of the major maritime powers. It was essentially a compromise that was realistic and politically feasible. Thus, through a combination of effective diplomacy intermingled with political realism, it was possible to secure innovative legal concepts and principles, having great potential to the interests of developing countries, a process in which Sri Lanka played a significant role. Varied concerns have been raised whether, in the aftermath of the ‘golden age’ of multi-lateral diplomacy of the 1960s and 70s and with end of the Cold War, the developing world has lost its leverage and diplomatic clout to make an impact on the contemporary International Law making process. The growing role and the initiatives of the Security Council, in what can best be described as ‘crisis-driven law making’ as manifested in the establishment of ad-hoc criminal tribunals, bypassing the established procedures for law making in the General Assembly’ the increasing action being resorted to under Chapter VII of the United Nations Charter and the plethora of Resolutions being adopted, imposing wide and varied sanctions on states, as well as the emergence and the influence of the World Trade Organisation (WTO) in the field of international trade, where the developing countries lack the requisite political leverage over the major trading economies to be able to promote their own agenda, are all cited as major factors which have led to the diminishing political clout of the developing world. While these are certainly significant factors which have a major impact on the current political and law-making agenda, it would nevertheless be an over-simplification to conclude from them, that the major powers have the decisive say in dictating the contemporary international agenda. It is an undeniable fact that the momentum that was generated towards the establishment of an International Criminal Court by adopting the Rome Statute, in 1998, a decisive landmark in postwar legal developments, could not be derailed, despite the objections of the major power in the post Cold War order. The same could be said with regard to developments relating to the environment, ultimately leading to the adoption of a Framework Convention on Climate Change, though of course, critical issues still remain on the Environmental Agenda. It must also not be forgotten that, through the consummate efforts of the developing states, backed up by an effective campaign by the non-governmental organisations, an OECD initiative to frame a Multi-lateral Agreement on Investment (MIA) was thwarted, as representing a rigid ‘legal straight-jackert’, heavily tilted towards the protection of investors, at the expense of the flexibility that should be vested in sales to legislate in the public interest. What has since emerged, is a network of Bi-lateral Investment Promotion and Protection Treaties (BITs), seeking to maintain a far equilibrium between the protection of rights of investors as well as the inherent rights of host states to exercise regulatory powers in the larger public interest. The international agenda continues to present complex and challenging issues which call for continuing vigilance and diplomatic and legal skills on the part of state representatives. Occupying a position of prime importance among them, are issues that vitally affect the Sovereignty of States and State Officials, long regarded as a fundamental Principles of International Law, on which the current international legal order is based. Recent jurisprudence of the International Court of Justice (ICJ), on going discussions and debates in the International Law Commission on the topic of ‘Immunity of State Officials from Foreign Criminal Jurisdiction’ and the increasing tendency on the part of domestic courts of foreign states, to assert jurisdiction over high level state officials of third states, have collectivity brought into sharp focus, certain tensions that have emerged among diverse and contending principles. The on-going debates on these issues, it is said, revolve around ‘two major values protected by International Law’, namely the Immunity of State Officials from jurisdiction of foreign courts, an integral aspect of sovereign equality of states and an essential prerequisite to preserve the stability of international relations, and the other value being the obligation to avoid impunity, by granting immunity across the board, in situations where grave crimes, described as crimes ‘which shock the conscience of mankind’ are alleged to have been committed by persons enjoying immunity. These values call for a careful assessment of the scope of immunity, the range of officials, who by virtues of their functions and as representing the state, should enjoy absolute immunity and the delicate question of possible exceptions to immunity in respect of a category of crimes referred to as ‘grave crimes’ under International Law. While these difficult questions are debated and grappled with, there is a continuing need for representatives of developing states, to be engaged with the law-making process. Today the much heralded International Criminal Court is not free from allegations of an anti-African bias. In order to make an impact on this sensitive norm creating process, the diplomat and the lawyer must be conscious of the fact that one is entering an uncertain terrain. It is an area of the law which is in evolution. In delivering a recent Judgement in February this year, in the Jurisdictional Immunities of States Case, upholding the immunity of Germany form the jurisdiction of Italian courts in respect of wrongful acts committed during the Second World War, the International Court of Justice was nevertheless, careful to caution that “given that the court’s task is to apply the existing law, nothing in the court’s judgement today prevents the continuing evolution of the law on state immunity. What the statement underlines in the fact that the International Law making process in a state of evolution. Classical concepts perceived as well settled and immutable, are coming under increasing stress and strain, as new norms underlining the relationship between the state and the individual contend with established principles, as they struggle to find expression through state practice. These developments are pushing back the frontiers of established legal concepts such as absolute state sovereignty, on which the traditional international legal order is based. In this scenario, it is important that those engaged in the conduct of intentional relations and in the practice of International Law, recognise the evolving nature of the law, appreciating the inextricable linkage and the subtle interplay between emerging norms, and the underlying political factors. In this complex unfolding scenario, what is the role and function of the international lawyer and diplomat? I would say it lies in the search for a shared surface, with an understanding of the rationale and underlying values of the contending norms and principles. This idea of reaching a ‘shared surface’ is effectively captured in an Essay by the eminent Finnish Jurist, Martti Koskenniemi, Global Professor of International Law, New York University Law School and a former Member of the International Law Commission, entitled ‘What is International Law For?’. “… It is Intentional Law’s formalism that brings political antagonists together, as they invoke contrasting instrumental understandings of its rules and institutions. In the absence of agreement over or knowledge of the ‘true’ objectives of political community that is to say in an agnostic world the pure form of International Law provides the shared surface the only such surface on which political adversaries recognise each other as such and pursue their adversity in terms of something shared, instead of seeking to attain full exclusion outlawry of the other. This statement encapsulates the core value and role of International Law in contemporary diplomacy. The international lawyer and diplomat must collectively engage in that task of reaching that shared surface, eschewing the temptation of drowning out of the voice of the ‘adversary’, but rather, explore every avenue pointing towards middle ground. Such accommodation can be reached through rational balanced legal and political reasoning and arguments, which while preserving one’s vital interests, keeps open the possibility of meeting the concerns of the other. In the long term, such a calibrated approach is the best guarantor of a state’s own national interests. Above all, what must be eschewed is the temptation to adopt a ‘zero-sum approach’ in the milieu of international negotiations. Romesh Jayasinghe’s career in the Foreign Service was reflective of a constant seeking of balance and harmony on a multitude of complex issues which I adverted to at the beginning of this Oration. It was a continuing and alas, an unfinished search for that shared surface for the effective conduct of diplomacy, in an increasingly antagonistic world. This is the rich legacy that Romesh’s life has left behind for those that are to follow the difficult, yet challenging path of conducting diplomacy in current times.